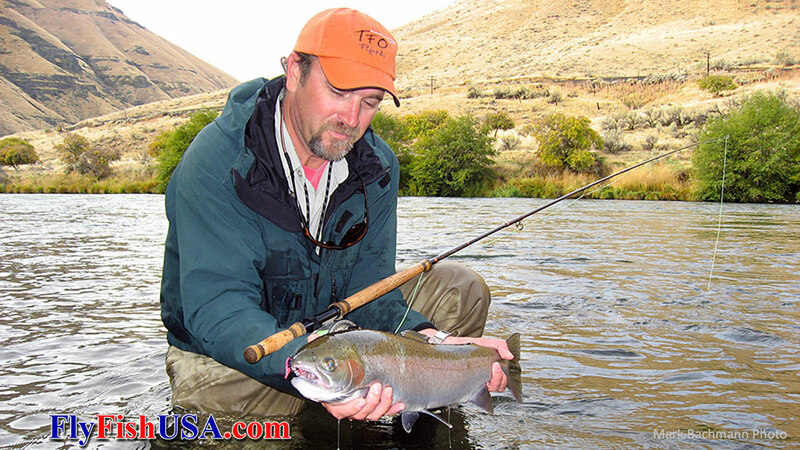 The Joe Gert was first tied by Mike Duley for Joe The Barber while camping at Gert Canyon on the Deschutes River. To our knowledge, Joe Gert is the first fly to use round rubber leg material for the wing and tail of a conventional steelhead wet fly. The motion of the rubber wing & tails swims and crawls through the water with life mimicking movement. There are some copies of the Joe Gert out there but most miss the whole point by being too sparse in the wing. 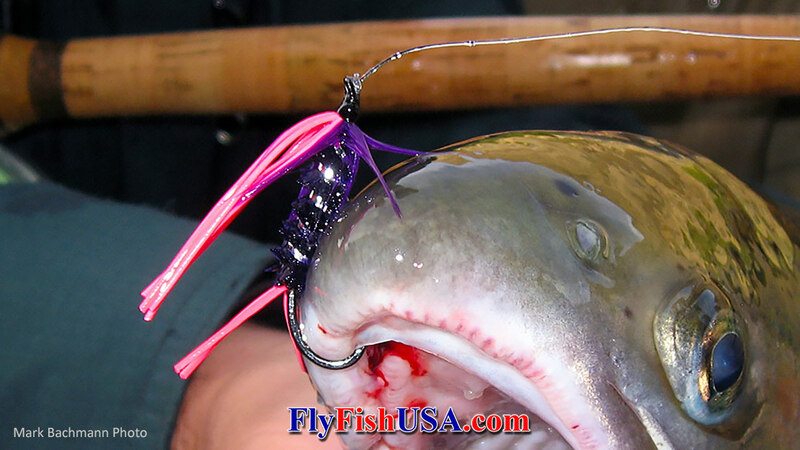 The idea is that the wing spreads and resists the current for maximum movement and current pushing through the individual strands makes a vibration that can be recognized by a steelhead's lateral line. This is a great pattern for off-color water, but can be equally productive when fishing very clear water as well. The Joe Gert has spawned a whole series of rubber wing flies in green, pink, orange, purple and red colors. No one has come up with a classification of the rubber winged flies. We just call them Gerts. "You got any Gerts?"